Charles Wood Moving Does it Again! 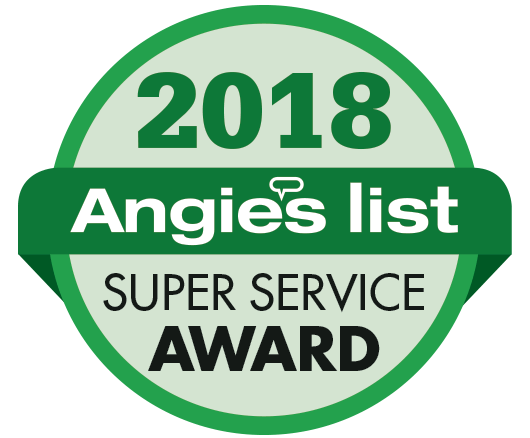 We are very pleased to announce that we have just received the 2018 Angie’s Super Service Award! Charles Wood & Son Moving & Storage has now enjoyed this honor for a total of 7 years! The winner of this award is determined by Angie’s List reviews. Based on their reviews, awards are given to the top A-rated companies in their categories and markets. Charles Wood would like to thank all who were responsible for this award! We are gracious and happy to know that we are doing the job we set out to do. For award winning New York moving and storage service, call Charles Wood & Son! This entry was posted in Uncategorized and tagged Angie's 2018 Super Service Award, moving and storage on January 23, 2019 by cwadmin. This week is National Pet week. As your resourceful Long Island moving company, we here at Charles Wood & Son Moving & Storage are always looking for ideas and tips for our Long Island movers. National Pet Week obviously gets us thinking about your pets and how to keep them calm and safe through your Long Island move. In April we shared a reminder for providing new proper identification for your pet that reflects your new address. Please go back and check out that article for resources to help you with that. This week we want to focus on a stress-free move for your pets. We all know that moving can be one of the most stressful life changes. As your trusted Long Island moving company, we set out to take away as much of your stress as possible. We realize that your pets will also experience some stress surrounding your move. They will begin to sense the changes as they watch the packing process and see things being moved around or taken away. Naturally we want your pets to have a stress-free move as well. ASPCA-Moving witu ch Your Pet-ASPCA Director of Anti-Cruelty Behavior Research Dr. Katherine Miller discusses ways to make the transition as safe and easy as possible. Pets Welcome Moving With Pets-Extensive list of tips and considerations for the actual transport and travel arrangements for your pet on the move. We believe that with the proper planning, trusted resources and the support of a competent trusted Long Island moving company, moving does not have to be overwhelming for any members of your family, including the furry ones. That is why at Charles Wood & Son Moving & Storage, we are committed to connecting you with the best planning practices and moving tips. Good luck moving your pet to your new home! This entry was posted in News and tagged lmpanuong island moving co, long island movers, LongIslandMovingCompany, moving with pets, stress free moving on October 29, 2017 by cwadmin. It is here again! May is National Moving Month. May begins the busiest moving season of the year. It is time to get serious about your choice for a Long Island moving company. National Moving Month serves to inform and protect consumers as they embark on their search. You need to take your time and get the facts about the companies you are considering. Today it is all too easy for a supposed mover to seem reputable on a pretty website filled with hype and false claims. Do not take any company’s website at face value until you do your fact checking. We here at Charles Wood & Son Moving & Storage encourage you to check out several sources for information about making the right and secure choice for your Long Island moving company. AMSA (American Moving & Storage Association) have teamed up this month with the BBB (Better Business Bureau) in honor of National Moving Month to bring you this article-AMSA and BBB Offer Tips for Safe, Secure Move. We encourage you to take a moment to read the article to help you choose a reputable Long Island moving company. Charles Wood & Son Moving & Storage respect and value the work that both AMSA and BBB have carried out to protect consumers searching for a moving company. We are proud to be a BBB accredited business as well as an AMSA ProMover. Our customers enjoy real peace of mind when they trust their choice in us. Another great resource to check out this May is one we share time and again-the US Department of Transportation’s Protect Your Move website. There are countless tips and articles on how to avoid moving fraud. Celebrate National Moving Month with the facts about your Long Island moving company. You won’t get far on fraud. You will go a long way on facts. Charles Wood & Son Moving & Storage wishes you a successful and secure move! This entry was posted in News and tagged LongIslandMovingCompany, moving company, moving month, national moving month on October 29, 2017 by cwadmin. It is May, National Moving Month. The month that begins the busiest relocation season of the year. If you are one of the millions in the United States about to move this summer, you need a move plan. Some people are naturals at managing a huge pile of tasks. For them organizing a move does not feel like an overwhelming challenge, but most of us could use a bit of help with the planning especially movers in Long Island who are moving for the very first time. Charles Wood & Son Moving & Storage makes it our business to assist movers in Long Island with their move plan. There are so many things to consider. The mountain of tasks can seem overwhelming and add to stress levels if you don’t have a plan. Where do you begin? Luckily there is a methodical way to go about spreading tasks out over weeks and even months so you can comfortably deal with each consideration along the way. We like to help you think of the things that need to be done and then help you with the timing of the tasks so that on moving day, you feel calm and ready to make your move. As a Prime Arpin Agent, we encourage you to check out this handy Arpin Moving Planner-Read Here. It is a fabulous guide through the move process using a timeline leading up to your Long Island move. You can print the plan out and begin checking things off and taking notes. You will soon discover just how manageable the whole move can be. Of course if you have any questions or concerns about any part of your move process, we are here to help and will guide you as best we can. We can lend our knowledge and experience to take the stress out of your move. As our movers in Long Island work through all the move preparations and then the actual relocation, the Charles Wood & Son Moving & Storage team wish you a pleasant and relaxing experience every step of the way. This entry was posted in News and tagged movers long Island, MoversinLongIsland, moving plan, moving planner, summer move on October 29, 2017 by cwadmin. June is National Safety Month and Charles Wood & Son Moving & Storage would like to provide some timely reminders for practicing safety for Long Island movers throughout their move. We are dedicating this month to sharing tips and resources for safe moving. This week we would like to draw your attention to safety matters having to do with the packing. Lifting Boxes-If you are packing and moving boxes yourself, you should be able to comfortably lift the box according to your strength. Know your strength. For step by step lifting instructions, please check out this helpful slideshow on heavy lifting provided by the Mayo Clinic. Of course, Charles Wood & Son Moving & Storage would be happy to provide Long Island movers with our professional packing service. Give us a call and we will provide safe and secure packing. Also, you can read more packing tips on our site. Let’s kick off National Safety Month with healthy and safe packing! We invite our Long Island movers to check back later this month for more moving safety tips. This entry was posted in News and tagged long island movers, long island moving, moving safety, packing safety tips on October 29, 2017 by cwadmin. In recognition of National Safety Month, we here at Charles Wood & Son Moving & Storage make it a point to share a message of safety with our Long Island moving customers in June and throughout the year. Last week we shared some tips and resources for packing safely when preparing for your Long Island move. This week we place our safety focus on moving day itself. We want you, your pets, your family and your movers to have a safe and pleasant moving experience. Small children and pets-It is best to have someone look after your small children and pets on safety day. Doors will be propped open and people will be moving heavy items out of the home and onto a truck. Children and pets could easily wander outside and possibly get lost. They could also get in the way of heavy dangerous lifting and risk being hurt. They will be safer off the premises in the care of friends or family. Keep all walkways and doorways free from obstacles-Periodically check the residence inside and out throughout the moving process. Helpers could trip and fall with heavy items if passageways are not left clear. When disassembling furniture-Use the proper tools and place them in a safe place when not in use. Be sure to keep a first aid kit handy-This is one thing you do not want to pack and load. Keep one near you through the move day should anyone need it. Food and water-Keep hydrated throughout the day and remember to eat for strength and endurance. Water and healthy snacks should be set aside in a tote for a quick grab when you need it. Rest-Get plenty of necessary rest the night before your move so you are alert and refreshed. Dress for the climate conditions-you may need protective clothing to stay warm, cool or dry. Wear sunscreen and bug repellant if necessary. If you are moving yourself-Be sure to have heavy duty gloves to protect your hands while lifting your items. Make sure you have the right moving gear such as handcarts and straps for heavy items. Lock up-Check all windows and doors. They should be closed properly and locked to protect the dwelling after you are gone. This not an inclusive list as every move has its own safety considerations. We just wanted to get you thinking about keeping safe on Long Island moving day. Take some time before you move to think about safety in and around your move, and then make your helpers aware of anything they would need to know to keep everyone safe. Avoid moving accidents. Keep alert and aware on Long Island moving day. Charles Wood & Son Moving & Storage wish you a safe and pleasant move! This entry was posted in News and tagged long island movers, long island moving, LongIslandMoving, moving company, safety move on October 29, 2017 by cwadmin. The Busiest Long Island Move Season is Heating Up! Yes! Summer has arrived and so has our busiest Long Island move season of the year. Are you ready to go? We are! Charles Wood & Son Moving & Storage is standing by with our experienced staff and crew to ensure that your move is a smooth one. As you get closer to your move day, things start to happen fast. We want you to be fully prepared for your Long Island move. It can be a challenge to keep organized and stay on top of all your moving tasks when you probably already have a busy schedule. This can be even more challenging if you have never moved before. There are so many things to think about. Fortunately we have decades of moving experience and are ready to lend a hand. Charles Wood & Son Moving & Storage can help by providing you with this Moving Planner-Read Here. Whether you are months, weeks or days away from your move, you can look to this planner to help you remember and organize your move. We appreciate all that you have to do. Moving is a huge undertaking and considered one of the most stressful life changes. Use this planner to ease your stress. As you check things off, you will feel accomplished and ready for loading day. If you are packing yourself, Charles Wood & Son Moving & Storage can also help with packing supplies. We have a wide array of moving boxes and supplies, as well as pre-packaged moving kits. All supplies are of the same quality used by professional movers and affordably priced. And of course, if you need help packing – we can help you with full service professional packing. The heat is on but you can keep cool during your Long Island move process with an organized plan and of course an ice-cream! Good Luck! This entry was posted in News and tagged long island move, summer movers, summer moving, summer moving company on October 29, 2017 by cwadmin. We are in the green of summer and the busiest moving season. It is a perfect time for Long Island movers to consider making choices for a greener move. Long Island movers can lessen the impact that a move can have on the environment by following a few easy tips. Boxes-You will need many boxes for packing up your things but they do not need to be brand new. Consider recycling boxes by using them again. There are several ways of doing this. Some stores give away boxes from shipments of goods. Sometimes you can find these boxes stacked in the front of a store free for the taking. If they are in good shape, sturdy and dry, they can be used. If you know you are moving in a few months, start collecting boxes and packing material from packages you receive in the mail and let your friends know you are collecting them as well. Even better-if you know a friend that has recently moved, ask for their boxes once they are finished with them. Bet they would be happy to have you take them off their hands. When you are finished with your boxes, be sure to recycle them or pass them along to another friend who will be moving. Another way to save on purchasing new cardboard is to use containers that you already own to pack things in. You can also rent heavy duty plastic tubs. Check with your Long Island moving company-Charles Wood & Son Moving & Storage for green saving packing ideas and resources. Charles Wood & Son Moving & Storage hopes that we have inspired our Long Island movers to consider a greener move. There are countless sources and ideas on-line for reducing waste and the environmental impact of your move. We hope this just gets the ball rolling with your thinking and choices surrounding your move. This entry was posted in News and tagged green move, LongIslandmovers, moving companies on October 29, 2017 by cwadmin. You are all packed up and ready to leave your home. Your Long Island moving company will arrive to load everything up and move you to your new home. What should you leave behind? • Anything planted and rooted in the landscaping-shrubs, perennials, etc. If you are really attached to a particular fixture in your home and do not want to leave it behind, remove it and replace it before a buyer ever sees it. For instance, if you hand-crafted a crystal chandelier and you do not want to part with it, take it down before you show your home and replace it with another light fixture. • All keys to doors, windows, gates, mailbox etc. • All remotes for garage doors, ceiling fans, security systems, etc. Some items may be expected to sell with the house but aren’t required to be. To avoid any complications on closing day or after, have anything expected to sell with the house to be included in the purchase agreement between you and the buyer. Examples could be curtains/drapes, appliances that are not built in like refrigerators, washers and dryers. Be clear ahead of time about what you are offering to leave behind so it can be included in your purchase agreement. Make sure your Long Island moving company is aware of what stays or goes according to the agreement. Once your Long Island moving company loads the van with your belongings, your home and property should be empty of all debris, trash and personal belongings. Check back next week when Charles Wood & Son Moving & Storage, your local Long Island Moving Company will discuss cleaning your house before sale and other final sale day details. This entry was posted in News and tagged LongIslandMovingCompany, moving ideas, moving tips on October 29, 2017 by cwadmin. Welcome Back to Charles Wood & Son Moving & Storage Long Island Moving Tips Blog! Last week we discussed what should be left behind in the home by the sellers before their Long Island move. This week we will address the condition your property should be left in before going to closing. It is really quite simple. Leave it the way you would want it if you were moving in. You would want it clean and clear of trash and debris. In most cases it will state in the purchase agreement what condition the house will be left in before closing. Sometimes it is agreed upon to have professional cleaners clean the house. Other times a simple broom swept condition is all that is required. Read your agreement over carefully and understand what is required in your case. Having been in the Long Island move business as long as we have, we often notice the little extra touches our customers have left for their buyers. Of course these are not at all necessary but very nice indeed. Some examples have been to leave a new roll of toilet paper in the bathroom and a new roll of paper towels on the kitchen counter in case the buyers arrive and can’t find where they packed these immediate necessities. Some people have left take-out menus to their favorite restaurants in the area with the house manuals. How nice to arrive in a new home and then easily order dinner in from a recommended local shop when you are not yet unpacked or too tired to shop or cook. Some sellers have left a few copies of old photographs of the home so the buyers had a visual history of the home and property. It seems to help sellers leaving a home they loved to share a sentiment with the new owners. Charles Wood & Son Moving & Storage wish you all the best with your Long Island move. Good luck in your new home! This entry was posted in News and tagged LongIslandMove, moving company, moving home, moving tips on October 29, 2017 by cwadmin.